For 20 years, field scientists working with Conversation International have been exploring some of the world’s most abundant, mysterious and threatened tropical ecosystems. To date, they have discovered more than 1,300 species new to science - although so far only 500 or so have been formally described by taxonomists, in terms of classification and naming. And now, to celebrate their 20 years of cataloguing, the group has released 20 of their favourite finds. While some - like the fish that flashes a beautiful array of colours when it is in love - make a great sight, others are more than likely to quiver, such as the giant blue scorpion, or the ants which hook on to each other with sharp barbs when threatened. And arachnophobes - take a deep breath, because this is what is thought to be the largest tarantula known to exist - oh, and it eats lizards. 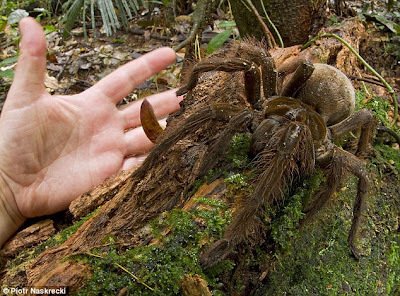 The giant spider is the Goliath bird eating spider (theraphosa blondi) and is the largest (by mass) spider in the world, reaching the weight of 170g and leg span of 30cm. 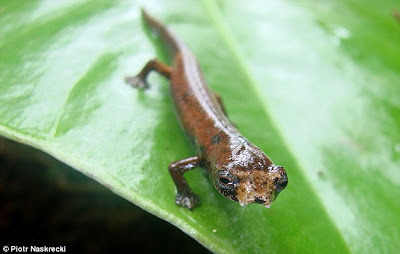 It was observed by Conservation International's Rapid Assessment Program scientists in Guyana in 2006, where it lives in burrows on the floor of lowland rainforests. Despite the name, it feeds primarily on invertebrates - but have been observed eating small mammals, lizards and even venomous snakes. 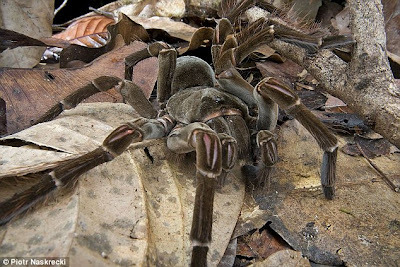 They have venom fangs, which are not deadly to humans, but their main line of defense are hairs that cover their entire body – when threatened their rub their legs agains the abdomen and send a cloud of microscopic barbs that lodge in the skin and mucus membranes of the attacker, causing pain and long-lasting irritation. Meanwhile the emperor scorpion (pandinus imperator) has an eight-inches-long body, this is one of the largest scorpions in the world - a species from India is reputedly slightly longer. Observed by scientists in Atewa, Ghana in 2006. Despite their enormous size they feed primarily on termites and other small invertebrates, and its venom is not particularly harmful to humans. 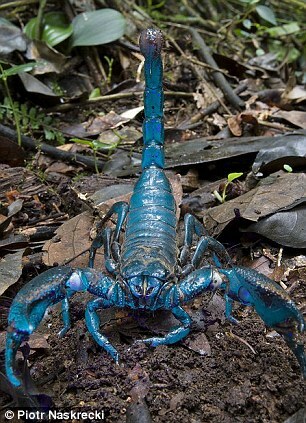 The venom of this species contains compounds that are being tested as potential drugs to control arrhythmia (a heart disease) and the blue fluorescent betacarbolines that cover its body (visible only in ultraviolet light) are studied in order to understand degeneration of proteins in human eye lenses, which leads to cataract blindness. 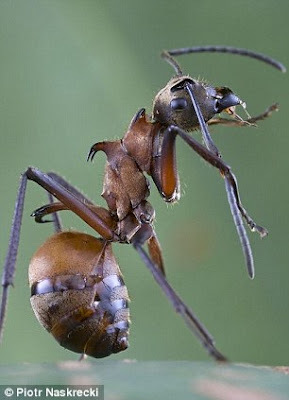 Not new to science, but observed by the RAP team, is the fish-hook ant. Scientists, as well as mammal and bird predators, think twice before messing with this large (1.5 cm) ant in the forests of Cambodia - their curved spines can easily slice through skin and tend to hold on for a while. 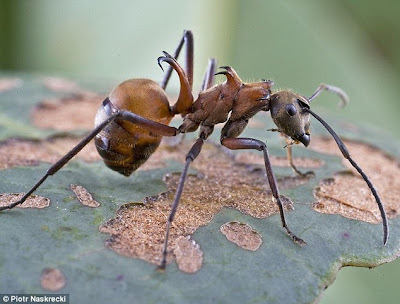 These ants live in large numbers in nests in dead tree trunks on the forest floor, and when attacked they swarm out and hook onto each other, making extracting an individual ant by a predator difficult. The hooking together behavior is inadvertent - they do not seek each other to hook together - but nevertheless quite effective as a defense mechanism. 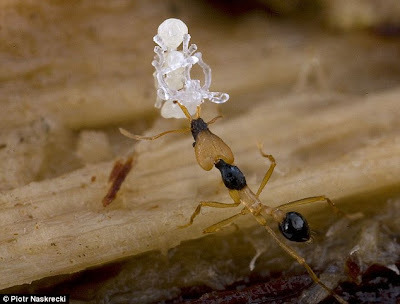 Ants play an important ecological role as scavengers - they are often some of the first organisms to feed on dead insects and animals, which help to recycle organic material back into the ecosystem and to keep dead animals from piling up. The RAP project's achievements are highlighted in the new book 'Still Counting…' edited by Leeanne Alonso, Director of CI's Rapid Assessment Program in collaboration with other leading scientists. Part memoir, part historical report, part methodology guide, 'Still Counting…' revisits RAP expeditions to some of the most remote and least known areas on the planet, recounting the physical challenges and personal highlights experienced by its scientists and features more than 400 amazing color photographs of rare and exciting species from around the globe. 'It's been an amazing adventure,' said Alonso, who has coordinated and led surveys for the past 13 years. To mark the twenty years, CI has designated the Top 20 'RAP stars' of the program's history. 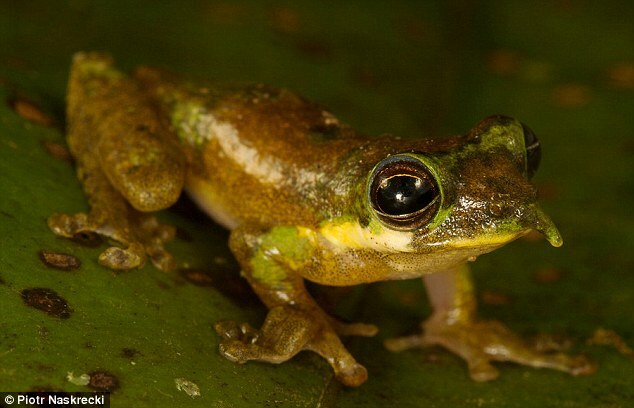 Species include some of the most biologically surprising, unique, or threatened discoveries of the teams' surveys, and include poster species that have captured the public's and media's imagination with popular nicknames like the 'Pinocchio frog'. Launched in 1990, the idea behind the creation of CI's Rapid Assessment Program was to build a team of the best field biologists from different disciplines, and create what CI founder, CEO, and Chairman Peter Seligmann described in the foreword to the book as 'An ecological SWAT team that could accurately assess the health of an ecosystem in a fraction of the time it would normally take'. Among the program's achievements, are the completion of 80 surveys in 27 countries, including 51 terrestrial RAPs, 15 MarineRAPs and 13 freshwater AquaRAPs. The next animal on the list is the strumigenys tigris ant, which lives in the leaf litter of rainforests of Papua New Guinea. This tiny ant, about 2 mm long, walks around with its mandibles held wide open so that it can capture small invertebrates with a lightning fast snap. 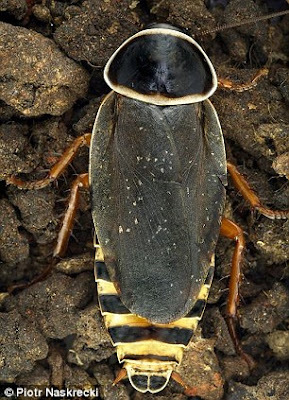 Its colour pattern may help it blend into the rotting sticks in which it lives. 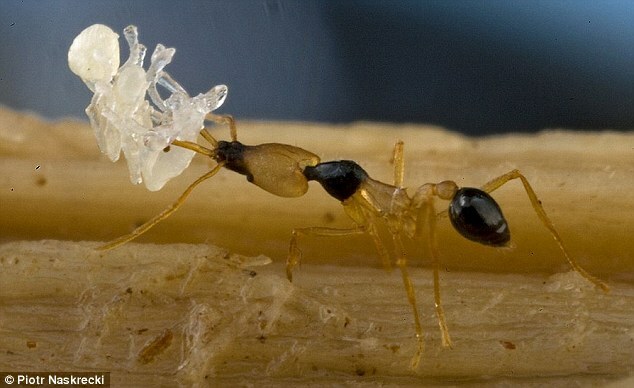 Predaceous ants such as these help to keep populations of small organisms in balance. 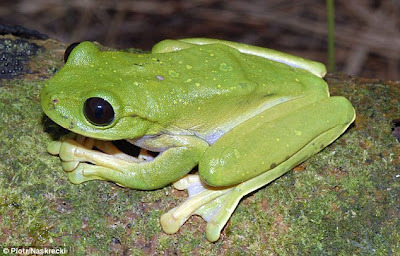 Nyctimystes is a large tree frog, approximately 15cm long, with enormous eyes was found next to a clear running mountain river during an expedition to Papua New Guinea’s highlands wilderness in 2008. It belongs to a group of frogs with an unusual vein-like pattern on the eyelid and its tadpoles have enormous sucker-like mouths that allow them to graze on exposed rocks in torrential stream environments. The abundance and diversity of amphibians are indicators of an ecosystem's general health. Amphibians are often referred to as 'the canary in the coal mine', as they have permeable skin meaning that they all too easily absorb toxins or pollutants to which they are exposed, making them some of the first species to disappear from ecosystems declining in health. Their disappearance can be used as an early warning sign that something bad is happening to a given environment - including environments humans inhabit. Uroplatus phantasticus, is 'the satanic leaf-tailed gecko', observed in Madagascar in 1998 - the species was first described in 1888. The gecko is the smallest of 12 species of bizarre looking Leaf-tailed geckos and are nocturnal, with extremely cryptic camouflage. 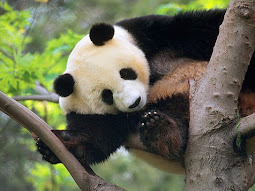 They are only found in primary, undisturbed forests, so their populations are very sensitive to habitat destruction. Large uroplatus species have more teeth than any other living terrestrial vertebrate species. In 2004, WWF listed all of the uroplatus species on their 'Top ten most wanted species list' of animals threatened by illegal wildlife trade, because of it 'being captured and sold at alarming rates for the international pet trade'. The tube-nosed fruit bat nyctimene, from the Muller Range mountains does not yet have a name but has been found in other parts of New Guinea. It is likely restricted to hill forests on the island. Fruit bats are important seed dispersers in tropical forests. 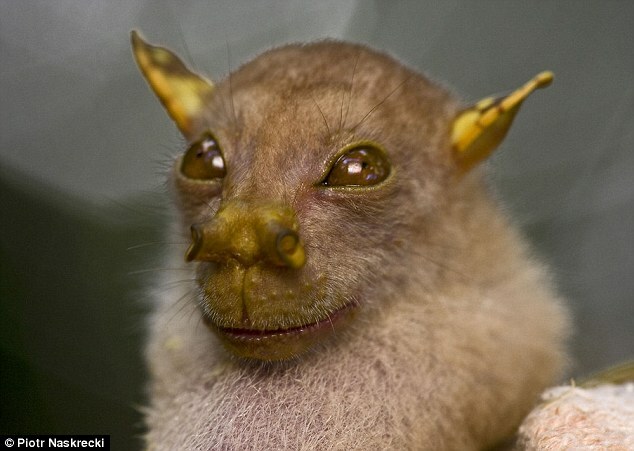 What a hoot: The tube-nosed fruit bat is likely restricted to hill forests on the island of New Guinea. Fruit bats are important seed dispersers in tropical forests. 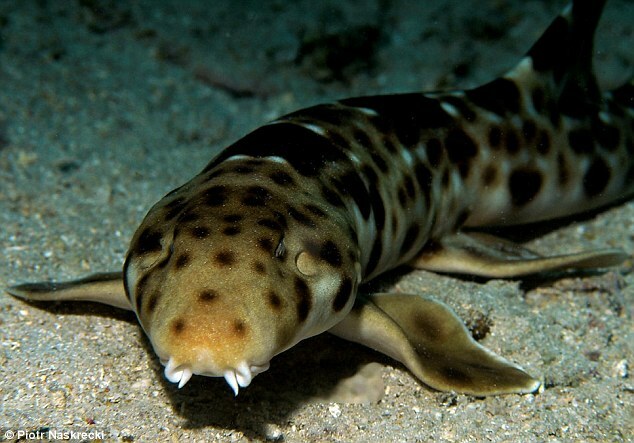 The walking shark (hemiscyllium galei), found in Cenderawasih Bay, Indonesia in 2006, can swim, despite the name. 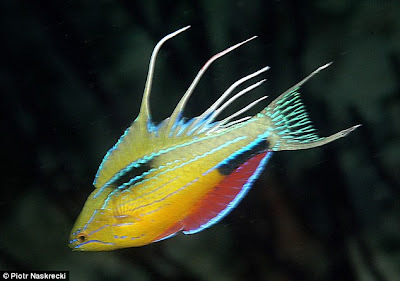 However, it prefers to walk along the shallow reef flats on its fins, preying on shrimp, crabs, snails, and small fish. They emerge above the reef, show off their grandeur with lateral displays and just as quickly dive back into their coral lairs. The chinchilla tree rat was discovered in the Vilcabamba mountain range, very close to the world famous ruins of Macchu Picchu. It is pale grey in color, possesses a stocky build, has large claws, and is characterised by a white stripe along its head. It is related to the chinchilla rats which are known to have been buried alongside the Incan people in their tombs. The fact that this is a new genus (i.e. a group of individuals that have similar characteristics) made the discovery even more exciting for the team, as it suggests there could be many more similar species just waiting to be uncovered. The peacock katydid (Pterochroza ocellata) observed on an expedition to Guyana's Acarai Mountains in 2006. 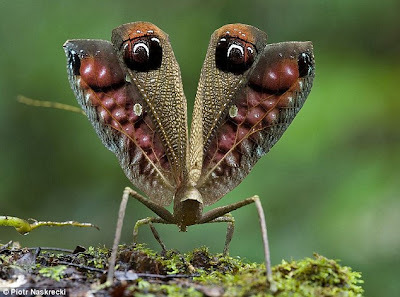 It is a large rainforest insect that employs two effective strategies to protect itself from predators: at a casual glance it looks just like a dead, partially damaged leaf, but if threatened is suddenly reveals a pair of bright eye spots and starts jumping excitedly, which gives the impression of a giant head of a bird suddenly pecking at the attacker. Males of this species produce very loud but almost entirely ultrasonic and thus inaudible to humans courtship call. 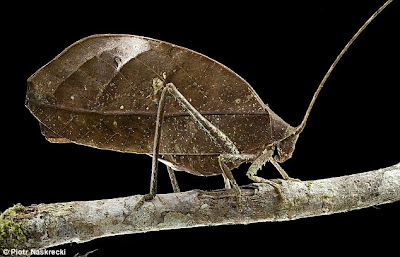 Peacock katydids are found across the Guiana Shield in lowland, undisturbed rainforests. While not currently threatened, their survival is closely tied to the survival of their habitat. 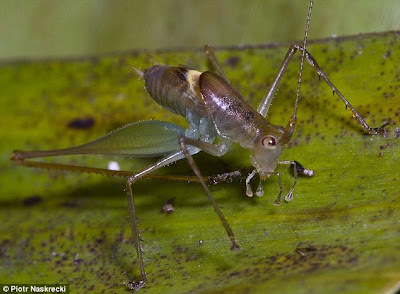 The RAP katydid (brachyamytta rapidoaestima) – discovered in Ghana and Guinea is a newly discovered species and a sit-and-wait predator, hiding on the underside of leaves, and attacking small insects that make the mistake of landing on the leaf. Males communicate with the females by producing ultrasonic songs that are inaudible to humans. It was named after the RAP program because it was first discovered during a survey in 2002 and it lives in the most threatened habitats of West Africa that the RAP program is trying to save. The dragonfly platycypha eliseva, discovered in 2004, has a unique combination of colors which differentiate it from other species; specifically the yellow tipped abdomen and the red and white tibiae. 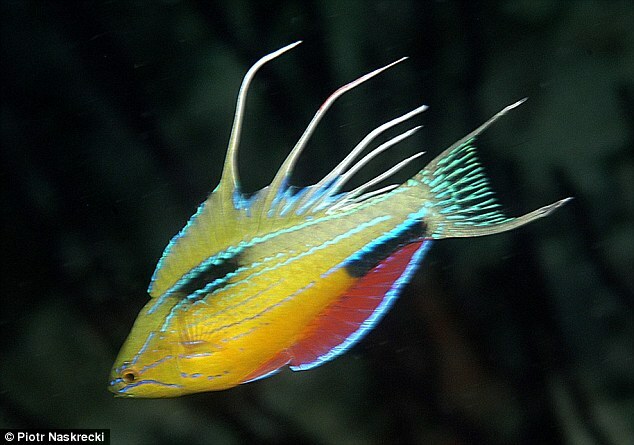 The species was found on three clear sandy streams within 5km of the Congo River. Two streams were in dense forest and largely shaded, while the other ran along an oil palm plantation and was largely sunny. The species may be localized: despite being conspicuous, it is absent from the substantial collections from surrounding areas. Dragonflies are good indicators of water quality since they need clean water, aquatic nymphs feed on other insects and aquatic organisms (predators), adults are also predatory and thus help to regulate insect populations including mosquitoes, serve as food for larger animals. The courtship dance takes place every afternoon, beginning about one hour before sundown and continuing until dusk. The modified mouth and lips allow the fish to feed, breathe, and attach to the substrate through suction. Parental care is usually well-developed and the male guards the eggs and sometimes the larvae. Meanwhile the RAP katydid (brachyamytta rapidoaestima) discovered on a survey in Ghana and Guinea. This newly discovered species is a sit-and-wait predator, hiding on the underside of leaves, and attacking small insects that make the mistake of landing on the leaf. Males communicate with the females by producing ultrasonic songs that are inaudible to humans. 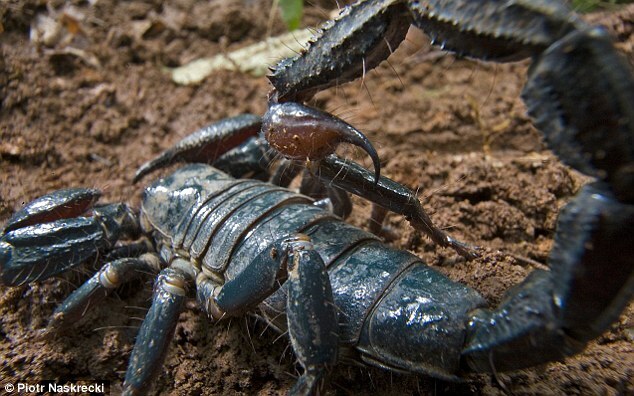 It was named after the RAP program because it was first discovered during a survey in 2002 and it lives in the most threatened habitats of West Africa that the RAP program is trying to save. 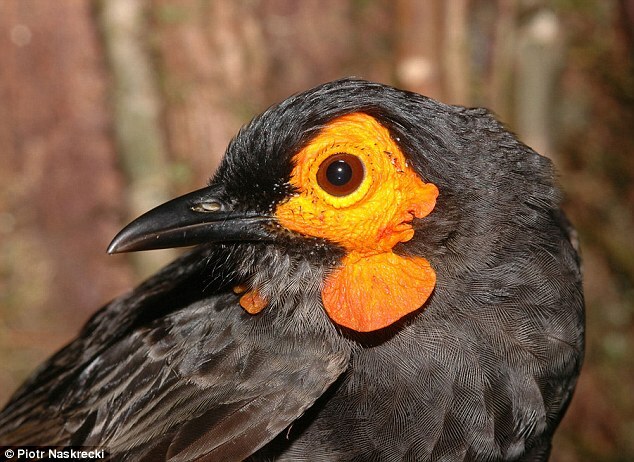 A new species called 'smoky honeyeater', discovered in the Foja Mountains of Papua province, Indonesia, on the island of New Guinea in 2005. The honeyeater was discovered at an altitude of 1,650 m (5,445 feet) above sea level, in the Foja Mountains of Western New Guinea. 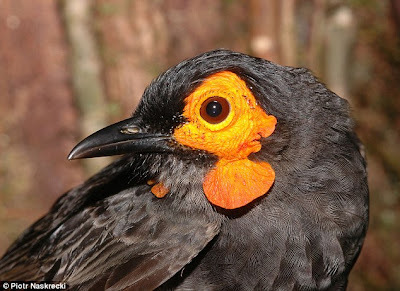 This medium-sized, sooty-gray songbird has a short black bill, and each eye is surrounded by an orange-red patch of bare skin, below which hangs a pendant wattle. It is these features that distinguish it from the more widespread Common Smoky Honeyeater. This frog (litoria sp. nov.) was also discovered in the Foja Mountains in 2008. The frog has a long, Pinocchio-like protuberance on its nose that points upwards when the male is calling but deflates and points downwards when he is less active, represents a particularly distinctive find that scientists are interested in documenting and studying further. Its discovery was a happy accident, after herpetologist Paul Oliver spotted it sitting on a bag of rice in the campsite.